Shannon of Refurbished by Sweet Threepeats says, "We just love taking a client's family piece and refurbishing it into something they will enjoy displaying for years to come!! 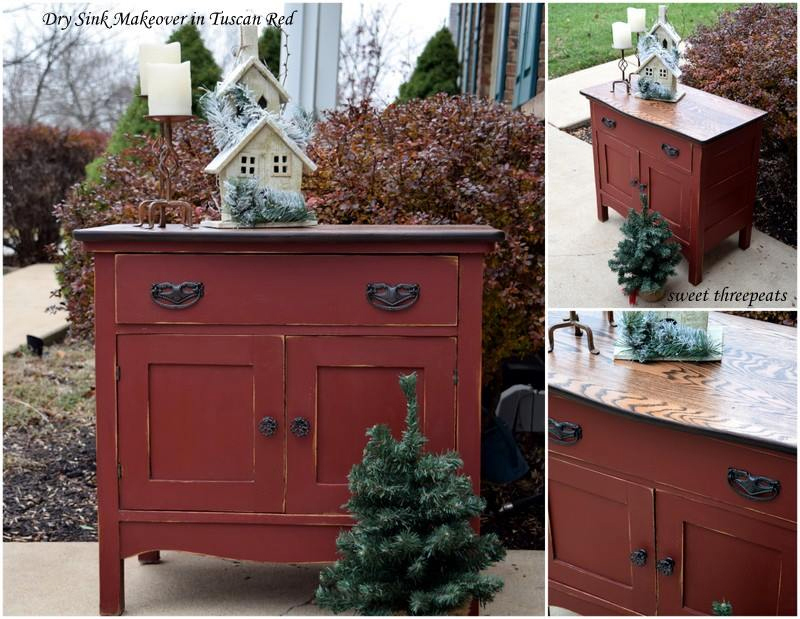 This one was painted in General Finishes Tuscan Red Milk Paint and given a Java Gel Stained top. We added a dark wax to give some age. Happy Friday!!"